Joel Andres is an actor. Joel Andres played a part in the movie The Men's Room (2003). On Spotify, Joel Andres has a relatively modest fanbase with only a popularity score of 16 out of 100 and around 200 followers as of 2018. His most popular track on Spotify is "Esprit de dieu" from the album Sauveur du monde. As of 2018, Joel Andres has appeared in only one movie. 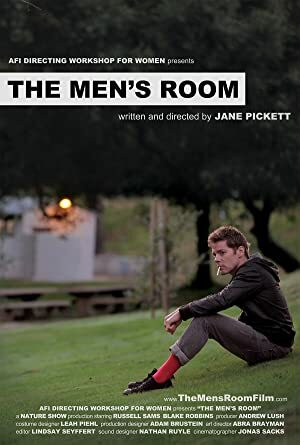 The Men's Room is the only recent movie featuring Joel Andres. The Men's Room was released in 2003. As of 2018, Joel Andres has 200 followers and a popularity score of 16 on Spotify. Sauveur du monde - Single is a popular album by Joel Andres. Notable tracks from this album include Esprit de dieu, Sauveur du monde, and Nous ne tremblerons pas. Esprit de dieu is Joel Andres's most popular track, scoring 25 out of 100 on the popularity scale. Sauveur du monde and Nous ne tremblerons pas have popularity scores of 15 and 14, respectively. The Spotify popularity score is on a scale from 0 to 100 and reflects the number of times the song has been played and how recently it has been played.